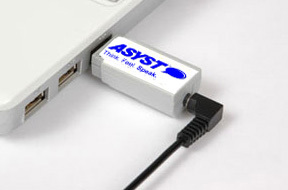 Plug the Touch™ Key into the USB port, and turn your own computer into a Touch™ system! 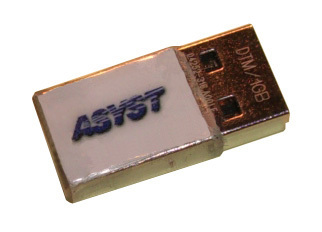 Most Windows®-based computer will run the program as long as the Key is plugged into a USB port, and the Key can be moved from computer to computer. 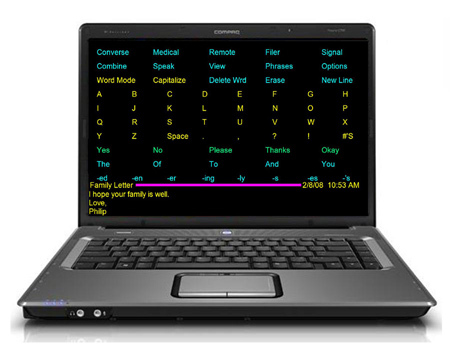 In this version of the Touch™ Key, ALL text composition and speech functions are fully enabled, to give the user an authentic Asyst Touch™ experience. Over 1600 words and phrases built in. The cost can be applied toward the Plus Upgrade of your Touch™ key.